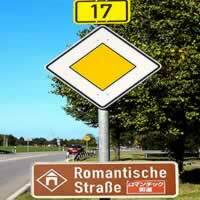 Located in southwestern Germany, in the Moselle wine region, near the Luxembourg border, Trier was founded under Augustus in 16 B.C. 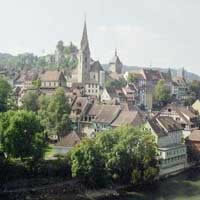 Augusta Treverorum (Trier) became the second Rome. 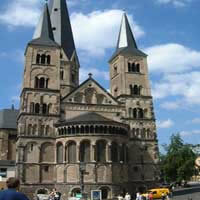 It is Germany's oldest city with buildings and monuments, dating from Roman and later periods. 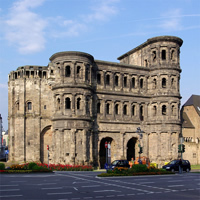 it contains several well-preserved Roman structures like the Porta Nigra gate, the ruins of Roman baths, an amphitheater just outside the center and a stone bridge over the Moselle River. The Archaeological Museum displays Roman artifacts. 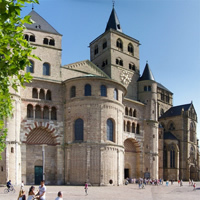 Among Trier’s many Catholic churches is Trier Cathedral. 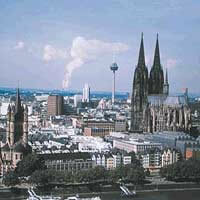 The city is rich not only in art and tradition but also it's one of Germany's largest wine exporters. 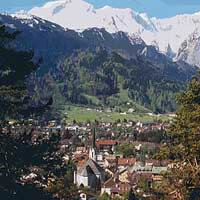 It is also the birthplace of Karl Marx and a university town with a lively nightlife. 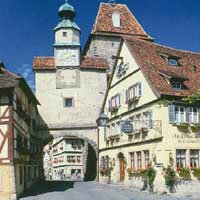 Don't miss the "Altstadtfest" when the whole city is one big party with lots of live events, local food, wine and beer. 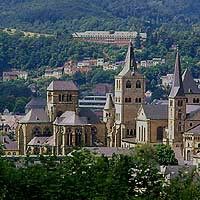 Combine Paris, Trier, Koblenz, Wurzburg, Nuremberg and Frankfurt with the TGV IC and ICE Trains. 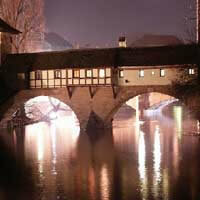 Get away from it all with this once in a life time adventure, starting in France and ending in Czech Republic. 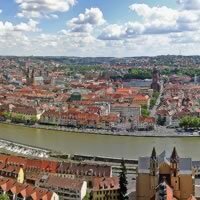 Start in Paris (The City of Lights with impressive monuments, museums, culture and gastronomy) and continue on to Luxemburge, Trier, Koblenz, Heidelburg, Wurzburg, Nuremburg and Prague. This is a flexible vacation package. Select your number of nights in each city, desired hotel and activities. 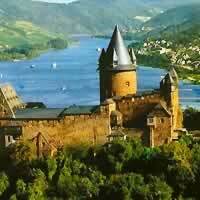 Combine Amsterdam, Cologne, Koblenz, Trier, Luxembourg, Strassbourg and Paris with the ICE, RE and IC Trains.